Setting up a fish tank properly, especially a brand new fish tank, is very important before you add in any fish. For setting up a fish tank, what needs to be done is basically a nitrogen cycle, a process that has to be triggered and activated by supplying beneficial bacteria to the environment that you will placing your aquatic life. The beneficial bacteria acts on ammonia and nitrite in the water, reducing it and thus removing these pollutants which otherwise will be deadly to your fish. There are easy and natural ways that you help introduce beneficial bacteria to the aquarium water. These methods are inexpensive and produces colonies of bacteria in a very short time. 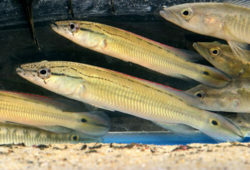 1) Feeder Fish: Beneficial bacteria thrive on an environment that contains ammonia and in order to produce healthy colonies you will need to create such an environment. In an aquarium, ammonia comes from excess food and fish waste. One way to produce this is to rare feeder fish such as guppies, goldfish, tetras or white clouds. These fish tend to be hardy and will definitely survive the bacteria free environment. They are also relatively inexpensive and very easy to care for. When setting up a fish tank, just leave a few of these fish in your brand new tank and soon you will have an environment ready for other fish that you choose. 2) Used Filters: The fastest way to establish colonies when setting up a fish tank for a brand new aquarium is to use a filter that has been functioning in an existing aquarium. This filter has had time to cultivate colonies of bacteria in its filter media and will ideally introduce these colonies into the new fish tank. If you need to rinse the filter media first, make sure you do not wash it in direct tap water or the chlorine will kill off any bacteria in it. 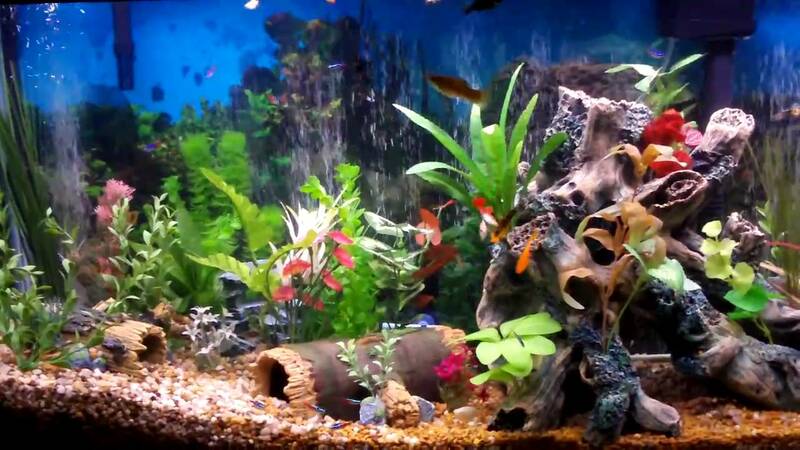 3) Used Water: When you do a water change in your existing fish tank, do not throw away the water. Pour the water into your brand new fish tank and top it up with de-chlorinated water. This is an excellent and fast way to build up your beneficial bacteria in your brand new fish tank. But when doing this, make sure that none of your existing fish are suffering from any diseases or you would be spreading the illness to your new tank. 4) Used Gravel: Use some of the gravel or substrate from an existing tank in your new tank. Colonies of bacteria will also grow on the gravel and substrate and will be transplanted into your new fish tank this way. You may want to wash away some of the muck that would cling onto the gravel, just make sure you do not use tap water for this as well. These are steps that you need to take to ensure the survival of the fish that you plan to put into the tank. Not taking these steps will almost certainly guarantee that the fish you put in will die so don’t be too impatient when you are setting up a fish tank for the first time. 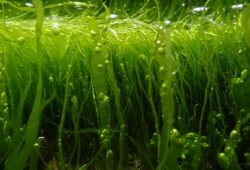 Got a Marine Algae Problem? 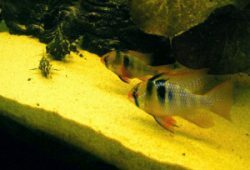 Rocks or Sand for Cichlids?